It’s hard to come up with a really good password for every single website you use, but some commonly used passwords are basically just invitations for nefarious actors to waltz in and steal your information. And yet, as Time reports, people still use "password" to protect access to their personal information. 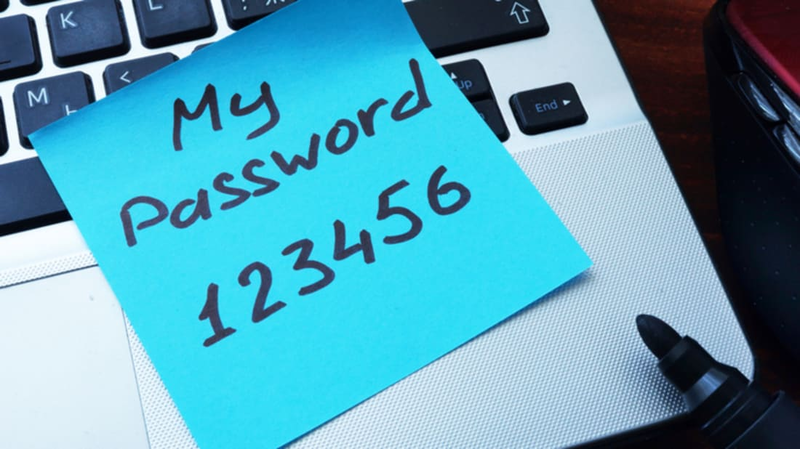 SplashData, a password manager, puts together a list of the worst passwords each year from lists of passwords that have been leaked by hackers. Unsurprisingly, people who use super obvious passwords tend to have their accounts compromised. So just what are the passwords you should feel ashamed of using in the modern age? Once again, "123456" appears in the top spot on the list, followed by that old standby, "password." Get a little creative, people! No, replacing the "o" in "password" with a "0" doesn’t make it any safer. Just don’t use any password that even vaguely includes the word "password," please. Surprisingly, a lot of people use sports like "football" (No. 5 on the list) as passwords, too. Just go ahead and avoid any singular nouns, please. According to Politifact, the fact-checking website, Google doesn’t even allow you to use "password" as the key to your Gmail account. Those annoying password requirements that dictate that you use a certain number of letters, numbers, and symbols really are trying to protect you (and by extension, their own reputation) from having your account compromised. The smartest way to protect your information is to use a password manager. Like, for instance, SplashData. There are a number of free password generators out there, though, including LastPass, Dashlane, and StickyPassword. Many of these services also have premium subscriptions that give you more advanced features. These apps don’t just keep all your passwords in one place—they create new, stronger passwords to replace those terrible old ones you always forget anyway. Regardless of how you decide to deal with your passwords, please enable two-factor authentication.